Experienced pilots know the importance of carrying tools for basic maintenance and repairs. Until recently, they had to assemble their own kit or simply do without. 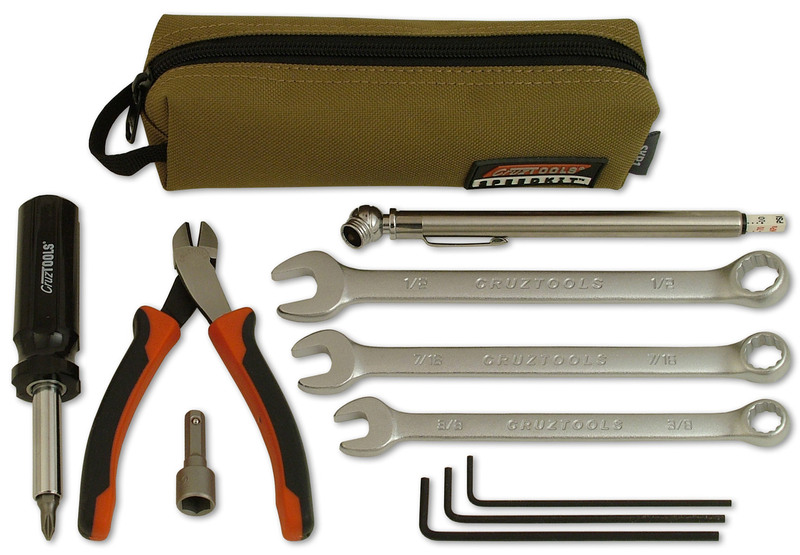 The CruzTOOLS SPEEDKIT Aero provides the most essential tools in an affordable and compact package. Included are three combination wrenches (3/8", 7/16", 1/2"), three hex wrenches (5/54", 3/32", 7/64"), a 5-in-1 screwdriver, 11/32" nut driver, tire pressure gauge, and highly competent diagonal cutters. Everything is housed in a durable textile pouch with extra room for additional items as needed. Weighing in less than a pouch and measuring only 7" x 2" x 2", even Cub owners can fit a place for the CruzTOOLS SPEEDKIT Aero Tool Kit.